What's the first tool you turn to when you need to get the word out about a new product, service, or innovation from your business? If you're like many small business owners, it's probably not the press release. While some marketers have pushed the press release into the background -- throwing it under the bus in favor of newcomers like Twitter, Facebook, and banner ads -- this venerable marketing tool has definitely not outlived its usefulness. In fact, some even say that with today's focus on content, the press release is more valuable than ever... that is, as long as it's done right. We've collected best practice tips and advice from the experts to help you take full advantage of this tried-and-true marketing strategy, so you can write a brilliant, amazing and -- most of all -- effective press release that'll get noticed. First, the basics: What, exactly, is a press release, and why does it exist? 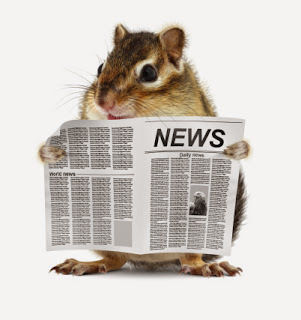 In a nutshell, a press release is a written update or summary, usually a couple hundred words in length, that alerts the media to news about your business. Whether you've created an innovative solution, are introducing a new service, are planning a big event, or have won an award, a press release supplies journalists with the information they'll need to write an article about you in the press. At least that's the goal. Crafting your press release to appeal to journalists is key, as they're inundated with information every day. Here's how to make yours stand out. Your press release should follow a standard format, which includes an attention-grabbing (but relevant and accurate) headline followed by a strong opening sentence that gets right to the point. Reporters are busy; assume that they'll probably only read the headline and first few sentences before scanning the rest of your text, and really make that prime (content) real estate work for you. Within the first paragraph, think like a journalist and address the 5 "W's": who, what, where, when, and why. Use the remainder of the text to support the important information you just shared in the first few sentences. Here's the fun part. Remember, what's huge news to you as a business owner (that new line of tires you're offering is amazing! Your lobby redesign is a stunning example of modern design!) may not be quite as huge to those who aren't directly connected to your company. But don't get discouraged: Get creative. Find the angle that makes your information compelling -- the angle that makes your press release more like a news article. You need to demonstrate the value of your information; does it solve a problem for consumers? Will it fill a need in the community? Think like a reporter, and turn your press release into news that people want to read and can use. Again, journalists don't have a lot of time to savor each and every word, so keep your message short and sweet. Be succinct; get to the point and say what you need to say in as few words as possible. Your press release should always fit on a single page. Whatever you do, don't forget to include your contact information! This vital data should go at the top of your document, where it's easy to find. Ensure that you're including the contact data for the person you want reporters to contact, as well. Maybe that's your secretary, your CEO, or a project manager. Whoever it is, ensure that those who want to contact your business can.